Please read this page carefully. It is important information and will save you time and possible disappointments later on. Specific details are described for each individual tour, but certain facts and aspects that are true for all trips are presented on this page. Upon booking a ride you will receive a detailed description of the tour. You will be experiencing new countries and new customs. Many things, from food and horse care to riding style and accommodations, are different from at home. With a cheerful disposition it is easy to get into the swing of things. Riding internationally is fun and at the same time a cultural experience. People of all ages and from different countries participate on these rides. The age group between 25 and 60 predominates, and singles and couples are about equally represented. Special tours for larger groups can be organized. Many rides have individual weight limitations of 200 pound. All riders with special considerations, such as dietary requirements or health problems, need to inform our office at the time of booking. The horses are representative of the country: Arabs, Lusitanos, Icelandic, Thoroughbreds, Quarter Horses and many others. Often they are mixed breeds as these have been found to be most suitable for the country and terrain. The horses are well trained and not rental stable stock. On some rides you will find truly spirited mounts which require an advanced degree of riding proficiency, while on others you will find they are very easily handled by a less experienced rider. English saddles and tack (mostly endurance type saddles) are generally used overseas but sometimes Western saddles are available. In several countries, the indigenous type of saddle is used. On most rides you will saddle and unsaddle your own horse, and sometimes help with the feeding and grooming but help is always available. English trained riders have little problem converting to a Western saddle. Riders used to Western riding only often have to adjust their riding style. Learning to post to the trot is important and a two point canter is often required. An accomplished Western rider will adjust quickly, but those that have mainly been on a few slow trail rides should take lessons first. If you don’t feel confident enough about your riding ability, don’t let this discourage you from having a wonderful riding holiday. We offer rides at training centers, both in the USA and abroad, where you can polish up on your riding. The most important ingredient for all rides is to be able to relax in the saddle. Talk with us, so that we can recommend the best suited ride for you. It will be no fun for you or the other riders if you are on a ride that is too challenging for you. You will be happy if the ride fits your riding level. To ensure diversity every ride has been designed to traverse the most scenic routes with good footing for the horses. On some mountain rides you will encounter very steep climbs, descents, and high altitudes. In most foreign countries you can ride through fields and forests as long as one takes care not to do damage. One occasion, it may be required that you lead your horse on foot over short distances. A knowledgeable and experienced guide accompanies each ride. They are always experienced horsemen, however, it is not their job to teach riding. 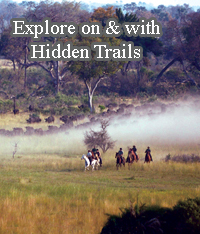 They may give you tips on horses, local riding techniques, and the traversing of tricky terrain. Their responsibility is for the whole group. Most of the time they speak adequate English to communicate with you. Please always remember that they are “The Captain of the Ship” and their word is law. Above all, they are responsible for the safety of the group, the riders and the horses. It is absolutely mandatory that all riders make sure that their riding level is adequate for their ride. Do not overestimate your riding level; this can be an inconvenience for the group and can possibly result in exclusion of the tour if it endangers the horse, the other riders or yourself. The group sizes vary, usually between 4 and 12 participants. All tours need a minimum number of people in order to take place. If a tour is cancelled, you will be advised four weeks prior to the ride. Many of our trips offer discounted rates for groups. In order to qualify for these discounts, we will need one group leader to make the reservation for the whole group - individual reservations will not qualify regardless of total number of riders. Payments (deposit and final payment) should also be made with either one credit card, check or bank transfer. On most rides, nights are spent in inns or hotels, generally small and rustic, or in some cases on privately owned farms. Some hotels have private bathrooms while in others they are shared. Plan on carrying your own luggage, there are no bell hops! Where camping is involved, this is noted in the ride description. Prices are based on double occupancy. On rare occasions triple rooms may be used and a few rides feature bunkhouse type accommodations. Single rooms might be available at an additional cost. Please let us know at the time of booking if a single room is required. For those of you who are traveling alone and wish to share a room, we will do our best to find a roommate for you. All meals are usually included in the tour price and those tours that do not include meals are noted in the descriptions. Beverages are usually not included. Lunches are either picnics along the way or full meals in restaurants. Comfort is the key word. Breeches or jodhpurs and riding boots (field boots, jodhpur boots or cowboy boots) are usually worn, and chaps or half chaps are definitely an asset. Western dress is perfectly suitable on many rides. On most trips, your luggage is brought by car every day to your night’s lodging, so you only need to carry only items for the day on horseback. The more remote wilderness trips often use packhorses to carry all luggage and equipment and on these trips there is a strict weight limitation. Although a hard hat is required only on some rides, we recommend one for all rides. A clothing list suitable for each ride is sent to you at the time of booking. There is a surcharge of 3.5% if payment is processed using an AmericanExpress credit card. This transaction with an AMEX is processed through PayPal and not through our regular payment gateway provider for VISAs and MasterCards. Even when we order the insurance for you, the contract is strictly between you and the insurance company. All riding tour itineraries listed in this brochure and on the internet are subject to changes. All rates are quoted in US$ and are subject to local currency fluctuations.